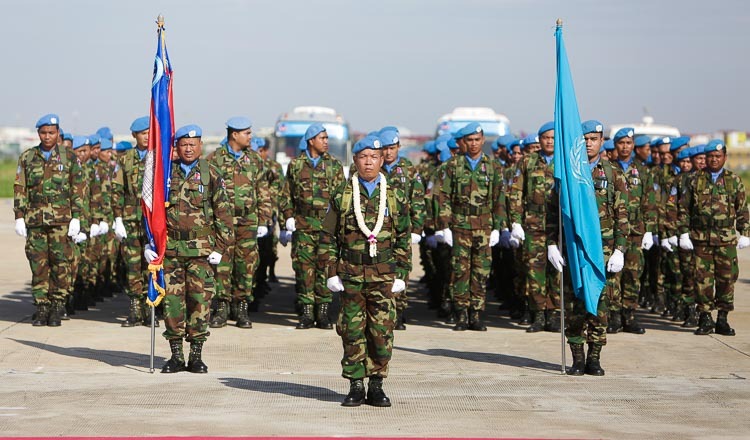 Four hundred Cambodian soldiers will join a UN peacekeeping missions in Mali and South Sudan on Thursday. 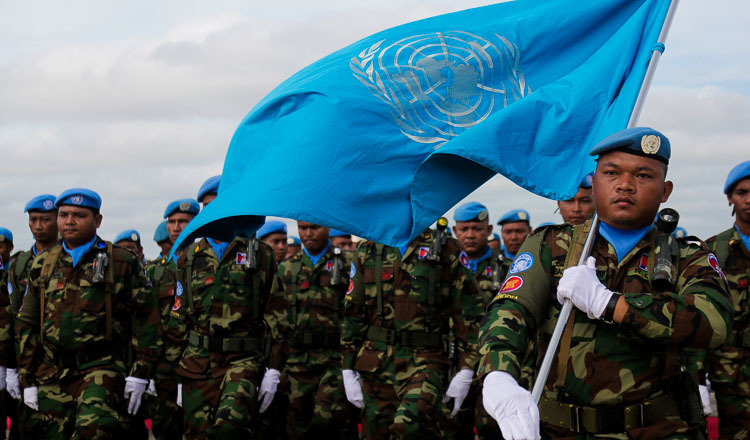 Major General Phal Samorn, deputy secretary-general and spokesman of the National Centre for Peacekeeping Forces, yesterday said that 165 soldiers from an Airport engineering unit and 144 soldiers a mine clearing unit will join a UN peacekeeping mission in Mali while 119 military policemen will join another UN peacekeeping mission in South Sudan. 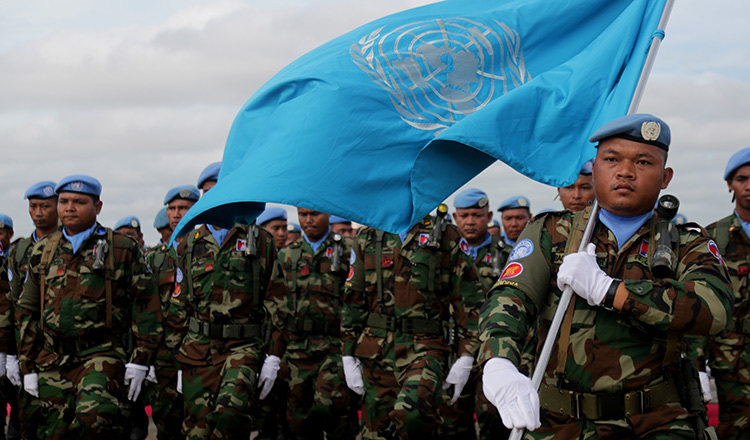 “Every year we send almost 1,000 Cambodian troops to join UN peacekeeping missions,” Maj Gen Samorn added. 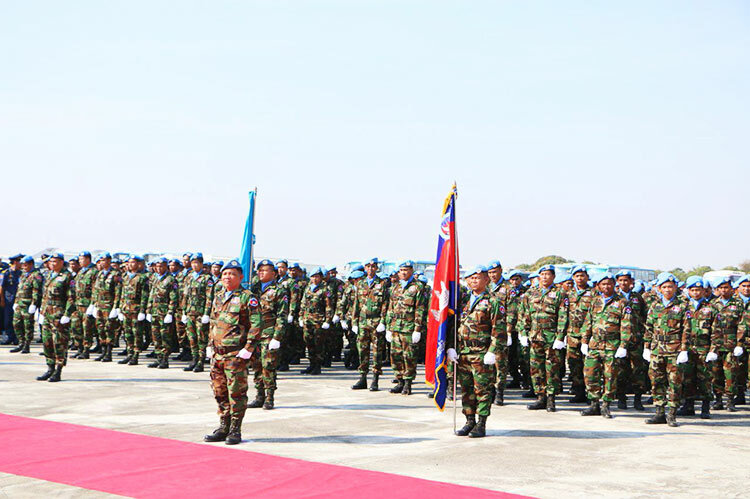 Maj Gen Samorn said that since 2006, Cambodia has sent nearly 5,000 troops on UN peacekeeping missions to eight countries, including Sudan, South Sudan, Chad, Central African Republic, Syria, Lebanon, Cyprus and Mali. General Chhum Sucheat, spokesman for the Defence Ministry, said ceremonies will be held prior to the peacekeepers’ departure. 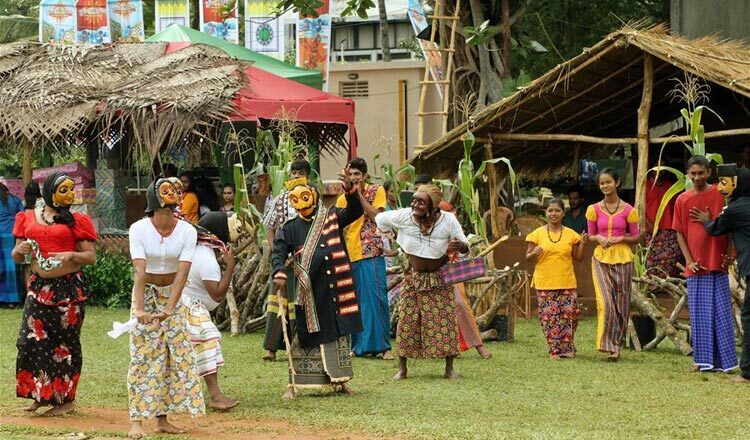 “General Pol Saroeun, commander-in-chief of the Cambodian Royal Armed Forces, will oversee the ceremony,” he added. 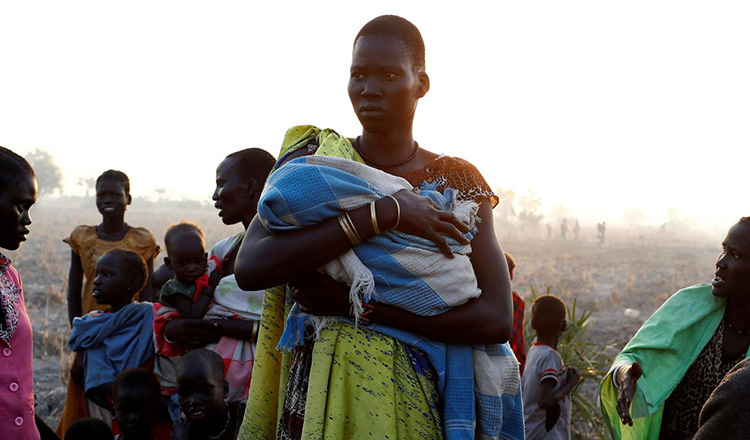 Last year, a Cambodian peacekeeper died from malaria in January, while in May, four Cambodian servicemen were killed in CAR in a night-time attack by the Christian anti-Balaka rebel group in the southeast of the country. The UN granted $70,000 in compensation to each family of the fallen officers. Speaking at a graduation ceremony in Phnom Penh, Prime Minister Hun Sen said earlier this month that Defence Minister General Tea Banh was ordered to closely watch Cambodian peacekeepers working in Mali after an attack last month. 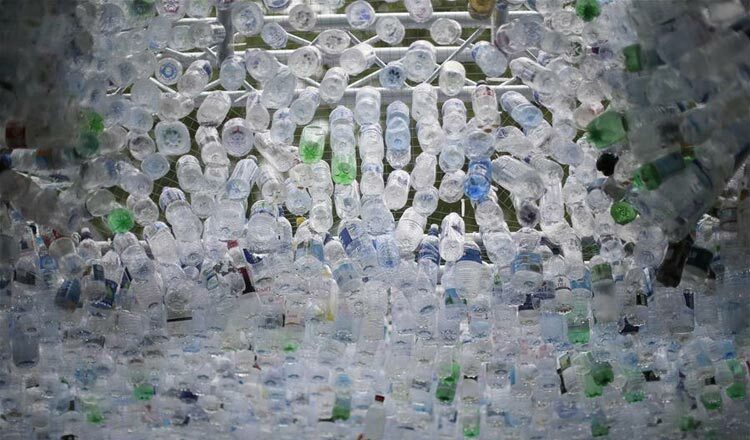 Mr Hun Sen condemned the attack on a UN peacekeepers’ camp by rebel groups in Mali on March 22, noting the attack caused neither deaths nor injuries to Cambodian troops. Officials said the camp was hit by three mortar rounds.